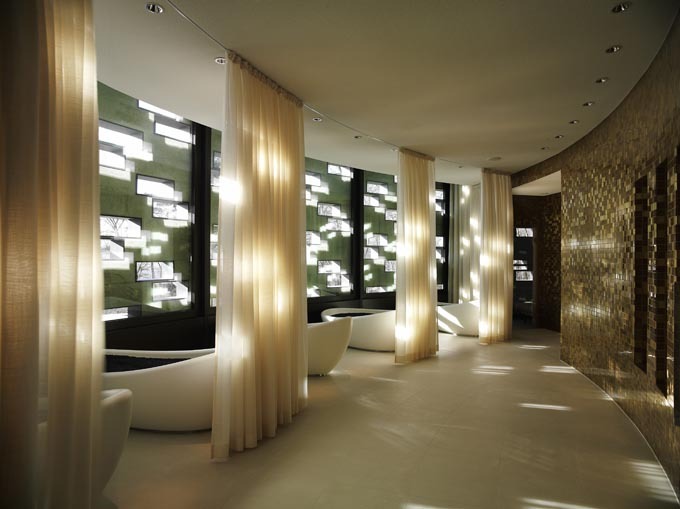 Designed in 1899 by Jacques Gros, the famed health spa/hotel has a perfect city location overlooking Lake Zürich and the Alps. 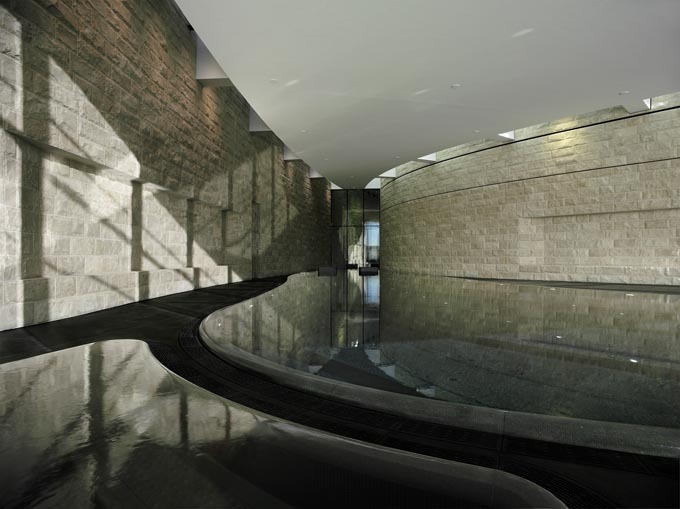 The grand old hotel has been re-imagined as a modern luxury hotel by a star team of professionals -- architecture by London’s Foster and Partners, interior design by United Designers, also of London, and the spa concept by spa-industry visionary, Arizona-based Sylvia Sepielli. The star power continues in the four top-level suites inspired by four famed guests. 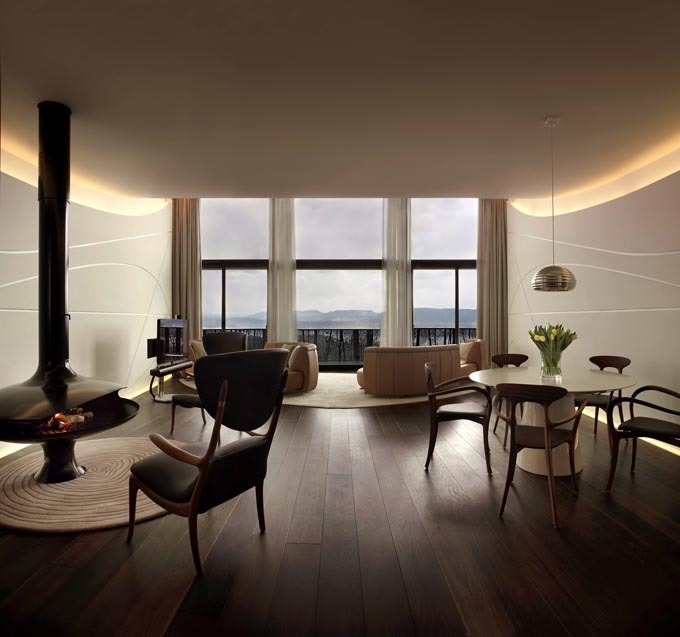 The topmost, 4,300 square-foot (400 square-meter) Maestro Suite channels the style of Herbert von Karajan. 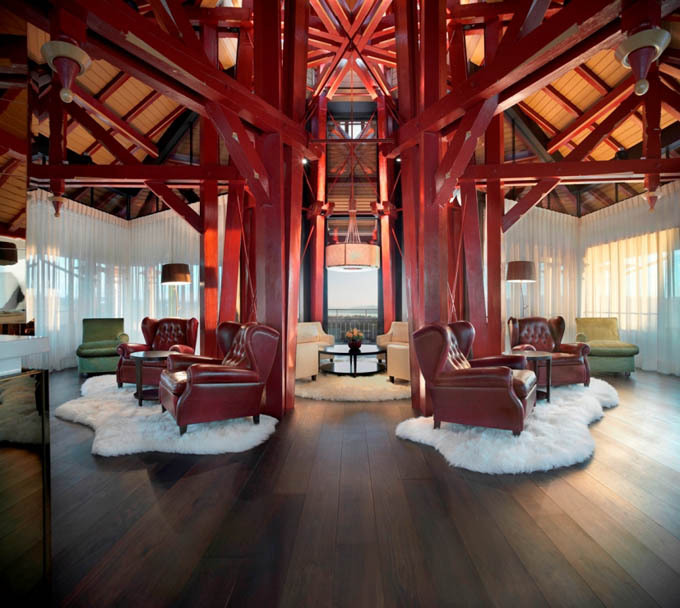 The sweeping two-level suite with dashing classical undertones features red leather chairs, dark timbers, a circular tower dining room, pale-marble bathrooms with whirlpools and steam showers (and one with a sauna), massive windows and a lounge-style terrace. The late Swiss surrealist painter and sculptor Alberto Giacometti inspired the Carezza Suite on the top floor of the spa wing. Sculpturally inspired furnishings and organic shapes create a peaceful lounge feel, enhanced by the neutral colors and the modern fireplace. The two-bedroom suite has a separate living room, TV lounge and marble bathrooms. Also on the top floor of the spa wing, the Masina Suite gets its dramatic inspiration from Giulietta Masina, actress and wife of Federico Fellini. Night-blue and soft white evoke a feel of elegance and smoky glamour. A large Fendi sofa and a flat-screen TV are perfect for film noir nights. Floor-to-ceiling windows add further drama. 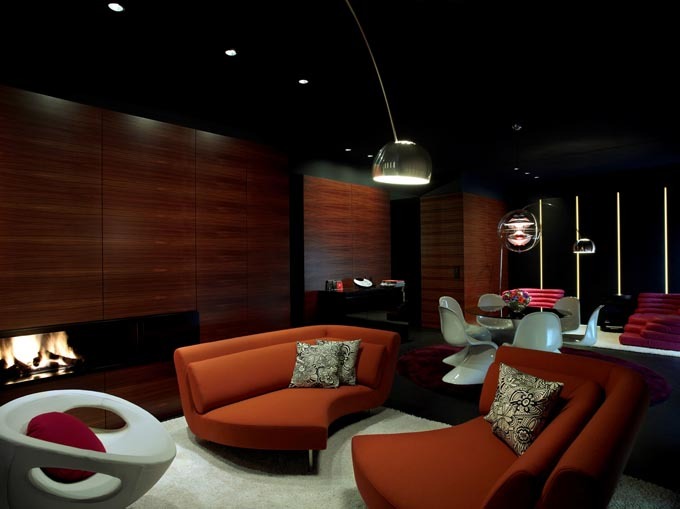 Orange sofas, dark wood panels and pink furniture adorn Suite 101 created to reflect the legacy of the Rolling Stones. The decor has a retro vibe and an edge with distinctive, casual luxury. The suite includes a bedroom, living room, dining room, an ensuite kitchen and meeting room for 10.